For organizations that have long been working under the siloed structure, a shift to the collaborative DevOps system will seem quite an impossible feat. To further add to the woes, the mindset has to be changed and a cultural shift has to be brought about. Moreover, many opine that DevOps can be tackled with only the automation tools. DevOps is not as simple as bringing together of development and operation processes. The personnel in all the teams who have been conditioned for siloed working find it tough to adjust to collaborative work. It is a huge culture shift and its proper implementation takes time. The first stage of development does not remain isolated from the testing and the operation team. The quality assurance through testing becomes a continuous process through the delivery pipeline. This ensures that the product finishes fast and by the time it has reached the delivery point, it has already undergone quality checking and testing to make it free from bugs. With teams more designed to work under the traditional waterfall method or the siloed method, the transition to a continuous mode becomes demanding. Any change takes time. Hence, implementing DevOps is better done in stages. Step 1: Depending on what the requirements of the company are, the first step for DevOps change would be to establish an agile development process. Step 2: The organization should adopt cloud computing if automation is to be done for DevOps. Step 3: The process of continuous integration is put to practice. Here, the coders integrate their codes frequently into the common source code repository. Instead of submitting their codes at the end of the cycle, the coders strive to contribute their work several times so that conflicts can be resolved earlier on rather than wait till the end. Step 4: The continuous delivery stage comes next that is an extension of the integration stage. With the continuous delivery system, you ensure that the code is deployable always. This stage consists of a central deployment pipeline wherein the testing and deployment are automated so that at the end of this stage, production-grade release software is ready. Step 5: The deployment and the testing stage are then set for automation. Step 6: The final step would be the continuous deployment stage which only some top organizations have been able to achieve. This stage extends the continuous delivery stage where the software will automatically deploy if all the tests are cleared successfully. So whichever successful codes are out of the continuous delivery stage are automatically deployed. The benefit of this is that the organizations get quick user feedbacks that can be handled promptly. With siloed operations, the leadership role of all the managers was streamlined to their core areas. But in DevOps, the managers have to collaborate with the other process teams to ensure that the operations run smoothly. With likely changes in the way the teams interact with each other, it becomes pertinent that leaders support joint efforts by their team members. It is the duty of the managers to provide developers with the operating environment information and vice-versa so that processes can be planned accordingly. In a DevOps environment, all the areas are intermingled with each other so that each one knows what happens at every stage. The processes are continuous. The leadership role assumes prime importance here to ensure that the integration is smooth between various areas and the pipelines are integrated into a single entity. The DevOps managers must build an environment where each member contributes to the success of the project. 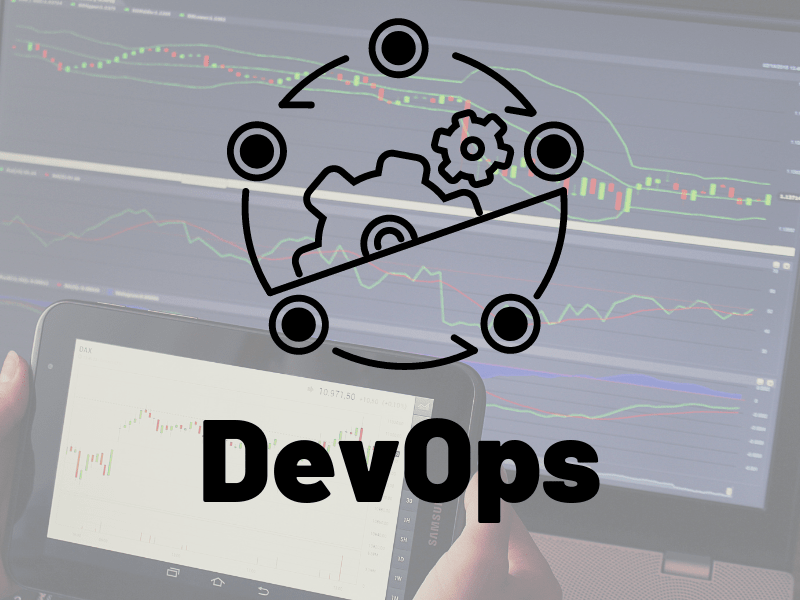 While it is true that the success of DevOps is largely dependent on the team and the processes, the role of tools in bringing about the right automation cannot be dismissed. Moving from the traditional software tools to DevOps tools is challenging. But by assigning the right people with the right tools, the company can easily follow a continuous deployment, integration, testing, and delivery process. Even with hundreds of tools available in the market, it is up to the company to decide on the right one that integrates and couples with the adjacent tool so as to have a continuous process. This ensures that there is a smooth operation between the stages. The culture shift may seem impossible in the beginning. Bringing together of people, tools and processes from the development, operation, testing, and quality assurance department into a single roof is quite a challenge that has to be patiently tackled. There will be glitches and corrections required. The conversion process to DevOps has to be in such a way that long-term benefits are gained. The team right from the entry-level to the managerial position has to be brought together and each has to be informed of the value that they bring in. Successful cross-functioning needs to be rewarded and leaders have to be available at all times for smooth transitioning. Leaders have to be available hands-on to identify the bottleneck that is limiting the output. The new transition and the changed systems will bring forth some challenges. By focus and methodically identifying the blockage, it is possible to deliver a better product and experience. DevOps process needs continuous monitoring in development, integration, testing, deployment, and tool operation. Ensure that you have a proper feedback system in place so that you can spot issues and rectify them with the chosen tools. – Continuous Integration: With continuous integration in DevOps, you ensure that the newly developed code is released fast. – Continuous Delivery: Next, with the continuous delivery you merge the additional automation and testing so that the written code is ready to be deployed. – Continuous Deployment: In the last stage of continuous deployment, the code goes through automated testing and then goes into production without any human intervention. DevOps is a huge culture shift and cannot be implemented with one single step. Gradual increment, team effort, strong leadership, right tools, and automation are what it requires to have a successful DevOps environment.